Even as environmental groups in the USA maintain silence over the concerns of the southern countries, European groups have taken the lead to initiate debates over the present unsustainable consumption patterns and lifestyles of Europe. One of the pioneering attempts in this direction was made by Friends of Earth (FOE), a coalition of environmental groups based in different parts of the world. FOE's Netherland-based group had brought out an action plan for a sustainable Netherlands as early as 1992. The recent Oslo ministerial roundtable conference on 'Sustainable Production and Consumption' (Feb 6-10, 1995) and the report 'Towards a Sustainable Europe' (Feb 1995) brought out by Wuppertal Institute, Germany, for European-based groups of FOE, are important attempts to move towards a more sustainable world. The outcome of these initiatives, however, remains to be seen. Several questions remain unanswered: Will the initiatives have the power to restructure the present fundamentally unequal relationships of power, globally and nationally? Would they lead to a more humane, just and caring world? Or will these remain pieces of paper to be consumed only in conferences and forgotten in the luxuries of the real world? The outcome will depend upon the political will of all those party to the reports, and also on the international institutions and western governments who structure the lives of people in Southern countries and of poor people in particular. In 1992, a UN conference on Environment and Development (UNCED) was organised in Rio in response to the growing global awareness on the impact of environmental degradation globally. A Commission on Sustainable Development (CSD), an intergovernmental body, was then set up to monitor and implement the Agenda 21 adopted in Rio. Agenda 21 suggests a level of commitment by the world community on different global environmental issues such as ozone depletion, climate change and conservation of biodiversity. The Southern critique of Agenda 21 has been that these and other environment issues are a result of unsustainable lifestyles and consumption patterns of the North and not due to population growth and inadequate managerial capacities of the South as is often claimed by the North. The present attempts from some of the Northern environmental groups are a recognition and a response to this. The goal of the Oslo Ministerial Roundtable Conference was to prepare elements for an international work programme on Sustainable Production and Consumption as mandated by the second session of the UN Commission on Sustainable Development (CSD) in May 1994. It attempted to develop a perspective on sustainable consumption and production patterns to be implemented by the ministerial representatives of respective national governments and the representatives of international institutions, NGOs etc present for the conference. a) How to change the current industrial societies in a socially and economically responsible way so that production remains within the Earth's ecological limits? 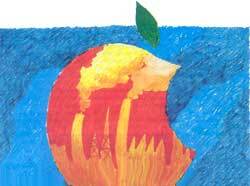 b) How must societies be changed to permit citizens of Third World countries equal access to the Earth's riches? The FOE report incorporates the principle of equity and social justice through the concept of environmental space. It calculates the permitted ES per capita for different global resources for Europe and on its basis suggests a reduction quota to be achieved to reach a sustainable situation. This concept asserts that all citizens of the world must have access to equal environmental space. FOE's calculation shows the West overconsumes its ES for raw materials and goods/services, the East overconsumes its ES for raw materials, but underconsumes for goods/services, while the South underconsumes both. Based on this, FOE proposes reduction in the consumption patterns of the West. For example, it uses the Intergovernmental Panel on Climate Change (IPCC) calculation for CO2 emission and suggests that the present per capita CO2 European emission of 7.3 tonnes per year (t/y) must be reduced by 77% if Europe is to remain within its environmental space, i.e. 1.7 t/y. Similarly, it suggests a per capita change in the land use pattern for the European Union and suggests a total land use reduction by 12% while it suggests an increase of 2000% in the protected natural resources area by 2010 in Europe, so as to reach the target of sustainable land use. Further, Europe will have to reduce its consumption of wood by 15% to attain a balance of its imports and exports, a necessary parameter for sustainability. In order to achieve the above reductions in the consumption of different resources, the report suggests their efficient usage through various alternatives. For example, it suggests a shift to renewable energy, such as solar energy as also fuels with low CO2 emissions, by substitution of oil by natural gas leading to reduced CO2 emissions. To achieve this change, a 75% reduction in its fossil fuel use is needed and an increase of 400% in its use of renewable energy. The report suggests after Centre for Science and Environment (CSE), that energy and nonrenewable resources be seen as global resources, wood and agricultural products as continental resources and water as a regional resource (See Towards a Green World, CSE Publication). 2) a structural change to reduce large distances travelled as a result of the widespread location of industries. 3) introducing stringent standards of energy consumption, exhaust emissions and noise. The report argues that the required reduction in the input is so massive that it cannot be achieved on the basis of efficiency alone. The report thus advocates the use of sufficiency as a ecological strategy. Sufficiency is described as 'having enough' or 'not wanting more'. It thus suggests that through sufficiency strategies, adequate welfare measures would be possible from less services. It distinguishes between economic growth and development and suggests that while economic growth means an increase in quantity, development means a positive change in quality of life. Thus the question of sufficiency is related to a state of well being rather than material accumulation and calls for decommercialisation i.e. an appreciation of simpler goods and lifestyles. Following from the sufficiency strategy, the report argues for an unlinked growth, i.e. where increase in GNP is not associated with an equivalent increase in material inputs (material inputs stands for the primary materials used in every stage of the product life cycle). To achieve the goal of Sustainable Europe, it argues, industrial countries will require a reduction in the material input by about 80% to 90%. This is termed as dematerialisation. Dematerialisation refers to raw materials and energy reduction in general. For example, the usage of cement will have to be reduced by 85% since the present usage, i.e. 536 kg per capita, much exceeds the ES for cement use, i.e. 80 kg/capita. In the light of the suggested dematerialisation, the report suggests a ceiling to the economic growth in order to stay within European ES. In this way, the environmental space concept is interpreted as a physical ceiling for the resource use, thus advocating a steady state economy. The concept of steady state economy is a physical concept whose definition the report borrows from Herman Daly, a former World Bank economist, i.e. "an economy with constant stocks of people and artefacts, maintained at some desired, sufficient level by low rates of maintenance 'throughput', that is, by the lowest feasible flows of matter and energy from the first stage of production to the last stage of consumption". There are three levels of suggestions that form the core strategy advocated by FOE for Europe, based on the concept of environmental space. It suggests an evolution of the system of incentives and disincentives by introducing an ecologically based tax system. It recommends a calculation of ecological taxation based on material flows in the use of energy, water, land, and other miscellaneous resources such as construction materials and mineral fertilizers. It also suggests that further taxes could be levied on waste and emissions. The Oslo conference broadly proposes the above strategies as a means to achieve sustainable development. Their emphasis is on targeting the various interventions as recommendations for different sections of the society, viz, civil society (citizens and community groups), labour, business and governments. Further, while the Oslo initiative is more at the level of national governments (mostly belonging to western countries, the FOE report is initiated at the level of European NGOs, and hopes to initiate debates all over Europe. The politics of Oslo reveal the continued negotiations between North and the South to arrive at an understanding of 'global environmental issues', initiated first at Rio. The approach of FOE, on the other hand, remains primarily self critical and its politics is geared towards European consumers. In the South there is wide agreement that the initiatives to redefine development are necessary and as such are welcomed. In particular, the FOE approach is appreciated for its honest critical introspection and its willingness to explore sustainable alternative forms of consumption and production patterns. This fact particularly stands out when seen against the continued stubborn silence by NGOs in USA on issues of overconsumption. However, while appreciating these European initiatives, there are also doubts regarding their political effectiveness, not only because of the scale (number of groups, governments, people participating) at which the initiatives are taken up, but because of the limitations of the framework suggested, especially from the Southern point of view. 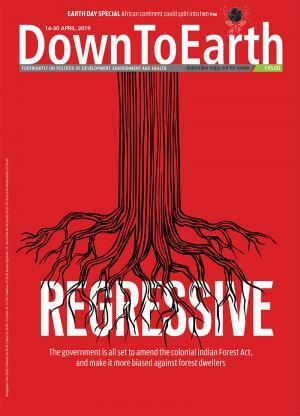 The reactions from Indian environmentalists are varied but largely positive. The FOE framework has looked at the question of sustainable Europe in isolation, i.e. without contextualising its analysis in the global contexts of inequitable sharing of power between nations, a long drawn out resultant from the process of colonization endured by the South at the hands of the Europeans. Its analysis is removed from international politics and the present trends in globalization of the economies, which in turn is leading to an increasingly interdependent world. Thus the report has addressed the question of European overconsumption without addressing the question of poverty in the South explicitly. This remains one of the main limitations of the FOE framework. Chatrapati Singh of the Centre for Environmental Law, argues that the primary question of 'who sustains the North' has not been raised and answered at all by these initiatives. The basic assumption is that Europe is self sustaining. Singh contends that the overconsumption of the North is possible because India and other Third World countries provide the natural resources (raw materials, timber), food and labour at cheap rates to these nations. Yet the question of paying fairly for the labour of the Third World has not been addressed. While the Oslo document pointedly states that these issues are not discussed because they are outside the purview of their guidelines, i.e. Agenda 21, the FOE report addresses them in a limited way. According to many Southern representatives, the above questions should be an important dimension of any discussion on sustainable development. Indeed these lacunae in the framework of action suggested by the reports could be a serious impediment to reach the goal of equity across nations. A workshop was held in December last year, by Miseror, a German funding agency that aids development projects in Third World countries, at Aachen (5-10 Dec 1994) in Germany, on the question of 'Sustainable Germany' on similar lines. Only, the context of discussion was Germany rather than Europe. Southern groups were invited to give their opinions and input. Rosa Virginia Suarez of PROBIOMA, an NGO working in Bolivia, said: "The increasing external debt that burdens the region is one of the main causes of the environmental deterioration of the region....it is linked to the introduction of environmental programmes conditioned to structural economical changes proposed by the IMF and World Bank. This causes more debt, resolved by increasing trade and exchange of natural resources. In this sense, large portions of territory have been expropriated from Bolivia, Equador, Costa Rica and the Dominion Republic". The implications of the debt on the trade and economic policies of the Southern nations have also not been addressed by these initiatives. CSE reports this impact in Towards a Green World. CSE states that the IMF response to the debt problem is a prescription of devaluation of currencies. This also devaluates the country's labour and natural resources in the world market, making them cheaper for the Northern consumers. Thus Southern products like tea, coca, coffee, fruits, peanuts and raw materials become cheaper for the importing countries. This means that the southern countries are left with no option but to exploit their natural resources even more. This trend is exemplified through the decreasing commodity price indices in tropical Africa in the period 1989-1991. A NGO participant from Cameroon in the Aachen conference, suggests that one of the ways to counter this would be through transportation of the finished product to the North, instead of the export of raw material. Indian environmentalists point out that although the reports talk about reducing the consumption of natural resources based on raw materials by Europe substantially, it fails to tell us how it will be done concretely. In the Aachen conference, Jorge Durao of FASE, a Brazilian NGO, argued that one way to change these international conditions would be to work towards the democratization of the international institutions such as IMF, World Bank and GATT which are today controlled by the powerful nations to a large extent. Smitu Kothari of Lokayan, an NGO working on displacement caused by development projects, asserts: "A question of equitable and participatory trade practices is a question of holding dominant institutions, i.e. whether they are transnational corporations, international financial institutions or states accountable. The question of accountability of these institutions hardly figures in these debates." Geeta Menon, a researcher on tribal development and environment issues, sums up these questions: "Where several nations are signing GATT and WTO agreements, neither of which does justice to 'just and equal access' particularly in terms of patents and Intellectual Property Rights, the documents seem to talk of justice in trade without any reference to such agreements. This is totally unrealistic". This means that any framework attempting to bring in the dimension of 'equity' in the consumption of natural resources must address themselves to the above institutions and their policies. This is one of the major drawbacks of the FOE report and Oslo conference. Whose development, at what cost? The concept of 'environmental space' has the potential to address the question of 'equity' in a fundamental way. However, this would mean widening the scope of its interpretation and deepening its meaning by contextualising it at different levels of unequal power relations, viz, global, national, regional, local and finally at the level of the smallest unit, the 'household'. In this way, the concept of environmental space could inform and act as a guideline to policies at different levels. This would enable the building up of a framework sensitive to various levels of differences, viz, North/South, class, caste, ethnicity and gender. A sensitivity to North/South difference demands that we build up our policies to achieve sustainable development by taking as our starting point the actual levels of difference. For example, a commitment to the principle of equity, cannot only argue for the reduction of the CO2 emissions by the Northern countries, but needs to go on to argue that South has a right to a share of clean atmosphere and hence it has a right to the claims of compensation from the damages caused, and not as a matter of charity or aid. Through such a policy, the environmental debt the North owes the South can be repaid. The FOE has in its report, however, adopted the figures for CO2 emissions without accounting for such historical responsibility by Europe. Kirk Smith in a 1990 report prepared for the World Bank, shows that the cumulative historical emissions of CO2, through the use of fossil fuels for just five European nations (United Germany, Belgium, UK, Netherlands, France) in the period for 1950-1986, is 464.6 tonnes/capita for the 1986 population as against the figure of 7.3 tonnes/capita/year of CO2 emissions, adopted by FOE (based on IPCC calculations) for the entire EU12 in the year of 1990, a figure which does not take into account past historical emissions. Formulations of debt relief policies based on such differences should be a part of any framework working on the questions of sustainability. Down to Earth (Mar 1993) states that the entitlements of each nation to sustainable use of atmosphere should be made available for trading and those not using their share of entitlements should sell their entitlement to those exceeding their pollution quota. The World Bank has calculated that if carbon emission rights were sold at $25 per tonne of carbon, the industrial world would have to pay developing countries about $70 billion to afford one year's emissions at 1988 levels. Indeed these mandatory payments could be used by the developing nations to pay off their debt to WB and IMF. Similarly the concept of ES and emission rights can be used to suggest policy level changes in bodies like Global Environmental Facility (GEF), set up to transfer funds to the South for global environmental programmes. As it stands, GEF is administered by the World Bank and is undemocratic in its decisions on what to fund. Through the above principles, the GEF will have to evolve a system and policies geared towards the disciplined use of global common resources, like atmosphere and oceans. An adequate framework on how to equitably share the global commons (atmosphere, oceans) have not been evolved in the FOE and Oslo reports. Similarly, the suggestions of 'ecological taxes' as suggested by FOE in keeping with the principles of ES, could be extended to all the materials imported by the North from the South. Agarwal and Narain (Down to Earth, Sept 15, 1993) have argued that if ecological costs involved in producing the commodities are calculated, then the Southern commodities will show a increasing price trend as opposed to the present deteriorating price levels. Thus calculation of ecological taxes will enable the South to have equitable prices for their commodities, curtailing the unfair trade practices to an extent. Further, the concept of ES could inform national policies, so as to be sensitive to the regional differences and disparities. This would mean a development planning committed to a participatory process at different levels, viz, state, district, village or bastis (in cities) and households. For example, in the Indian context, all this means that the present exploitation of the rural resources (eg. use of water), to the advantage of cities and its adverse impact on the concerned rural areas should be resisted by the policy makers and the local people's right to use and management of the resources should be recognized. Such policies would ensure that anti-people and anti-environment projects such as the Sardar Sarovar dam would not be initiated under the auspices of development. Indeed, the concept of ES could keep tab on the sustainable nature of any development project, through the question of "Whose development and at what costs?" given the fact that every citizen is entitled to a equal amount of ES. The FOE report and its critique shows that the question of sustainable development is essentially political in nature. Thus, although the European initiatives are innovative steps in the right direction, a more difficult political task of building a broad based alliance between Northern and Southern groups, political parties, and nations lies ahead of us. "The project of SD is an exercise to bring back the ethical and moral underpinnings to the project of development," says Kothari. This means a commitment to the notions of justice, equity and friendship through a validation of an alternative development model sensitive to the socio-economic-cultural diversity between peoples. Indeed, given the increasing interdependence of the various nations on each other through globalisation of economies and sharing of global commons, a sustainable Europe would not be possible without a sustainable India, Asia, Africa or Latin America.